Pilgrim Scribblings: Big Hat and Fries? My blogging friend Terry (no, it's not a guy, it's a gal, Teresa) stopped at McDonalds with her mother for coffee. 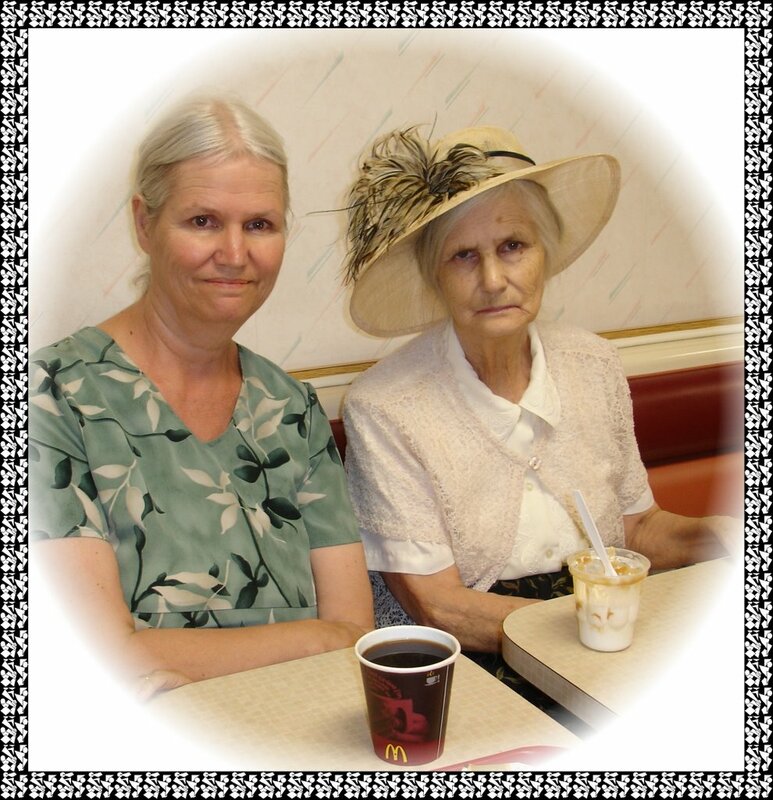 Terry had some caffeine and mom chose a hot caramel sundae. Doesn't she look regal in that hat? What's the point of my scribblings here? There is none other than to introduce my friend who so faithfully adds comments to my posts and to show how attractive a hat can truly be. Remember, Terry...I'm giving you $5.00 for every comment just to make it look like there's some readership to this collection of unrelated and often worthless rants and raves. Have a great week, dear readers. Our redemption is nearer than when we first believed! Hallelujah! P. S. I take my coffee black as well! David... I do hope that $5.00 comes time in a half after midnight!! Now that hat...It is alright I guess and really pretty but you know what David?.. Nothing worse than sitting behind a big hat in the meeting and not being able to SEE over it!!! Sometimes I have the wicked urge to knock it off!! Ha! !